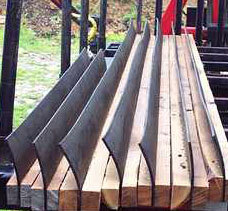 Waterbars are used to prevent erosion on logging roads, dirt road, bike paths and walking trails. When properly installed, waterbars divert water off the path, road and or trail. Traditionally waterbars are made from wood or rocks: these types of waterbars do not work good for trails that are being used by bicycles or other wheeled traffic as they can lead to crashes or tripping hazards. 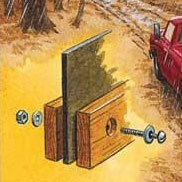 Here’s another DIY waterbar instruction set from the Center for Dirt and Gravel Roads.